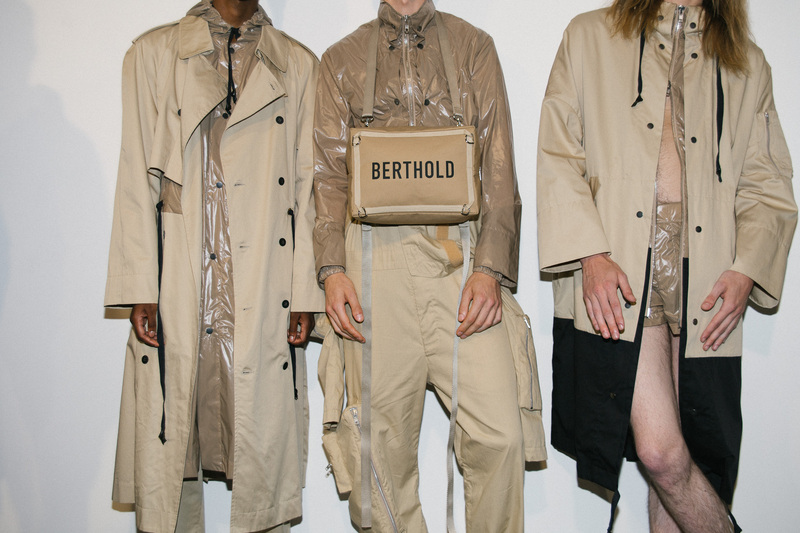 For his latest collection for his eponymous label, Raimund Berthold continued the outdoor trend emerging this fashion week with a collection fit for a desert explorer that goes raving in the night. 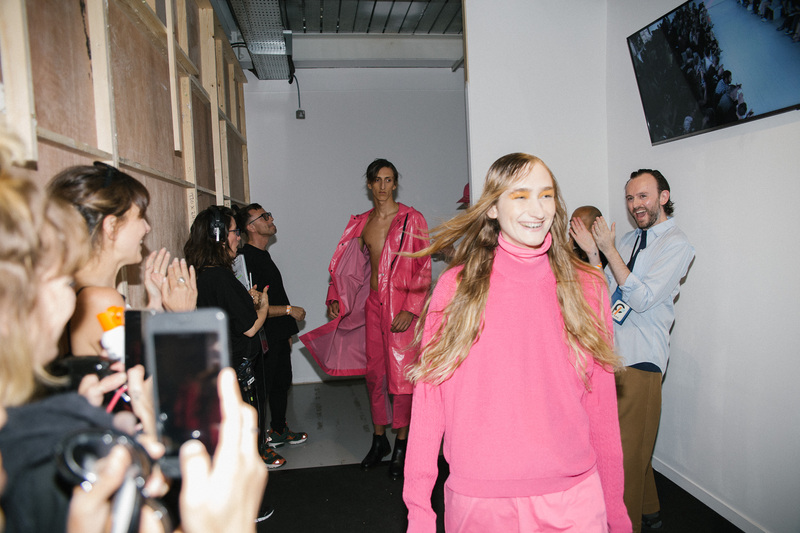 A thumping beat and neon pink lights set the scene, as girls and guys walked out in clothes ready to brace all elements, whether they be in the sand dunes or the club. 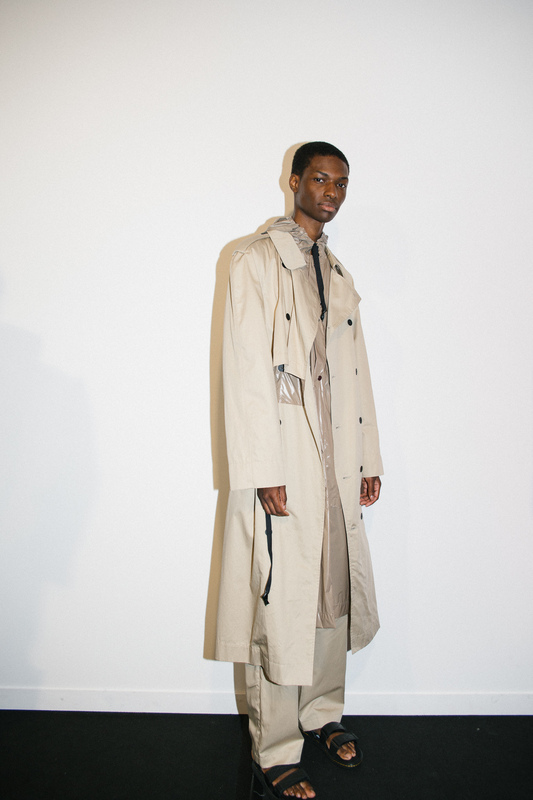 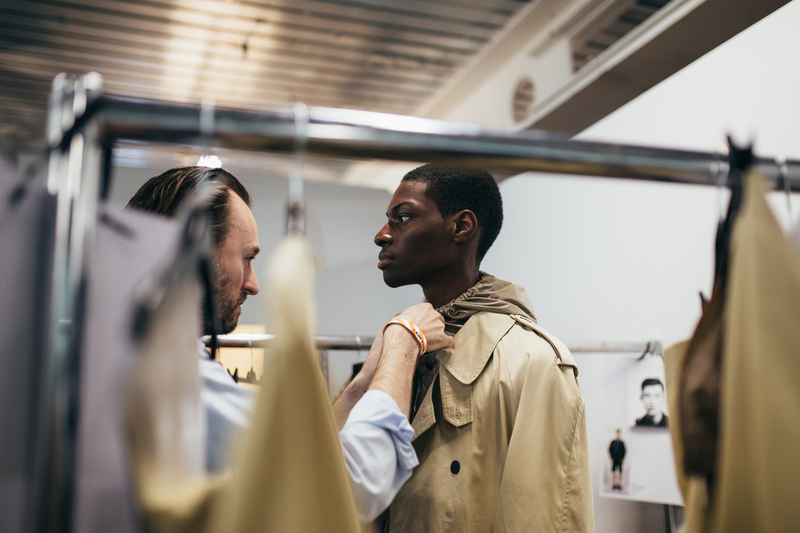 Practical layers were the order of the day, with the outerwear coming out strongest, long line trench coats and parkas fastened only at the top, allowing the fabric to catch the air and show off the volume of the garment. 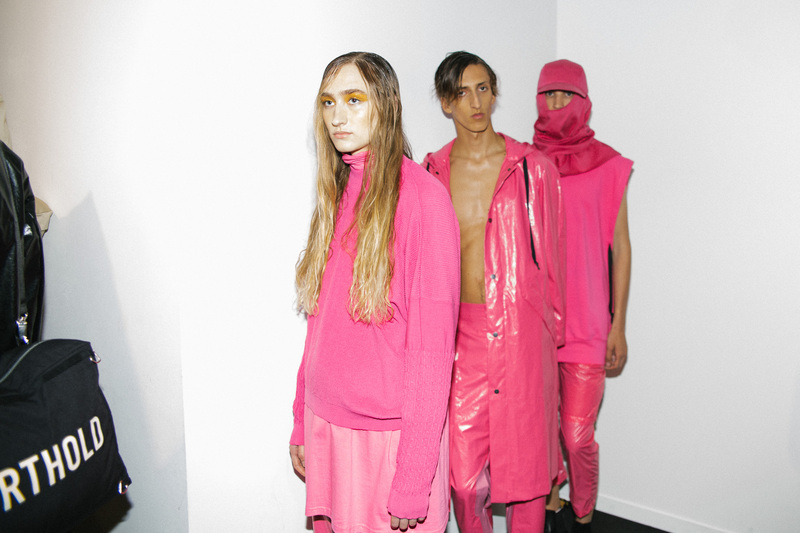 Matching knitwear, shorts and trousers meant that outfits came primarily in one colour, be it the neon pink seen in the lighting, the dusty beige of the inspired sand dunes or the black of the night sky. 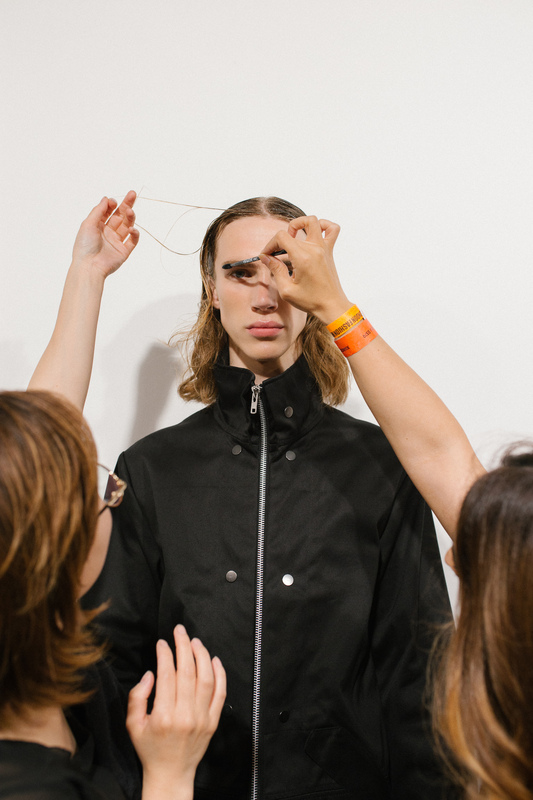 Many of the pieces were made of a super shiny PVC, the highlights most prominent in the all over black outfits. 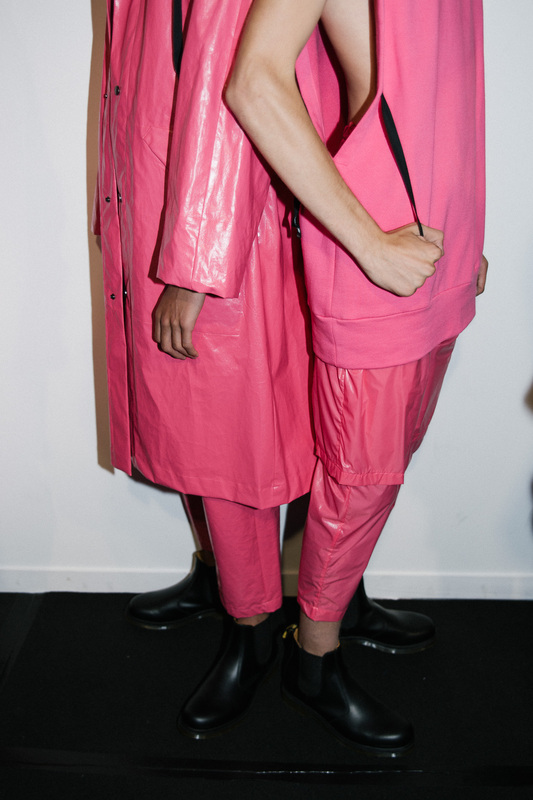 These wet-look garments mimicked the sheen of sweat the explorer would find themselves experiencing in the hot desert or the intense heat of the nightclub. 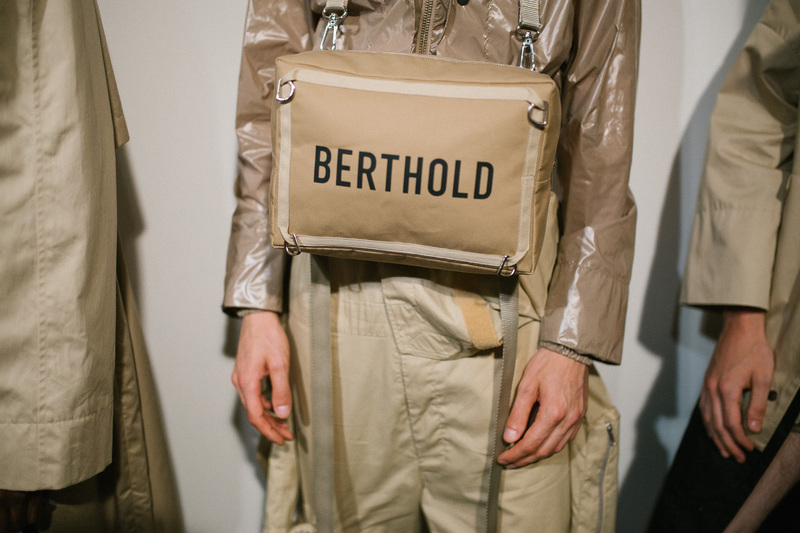 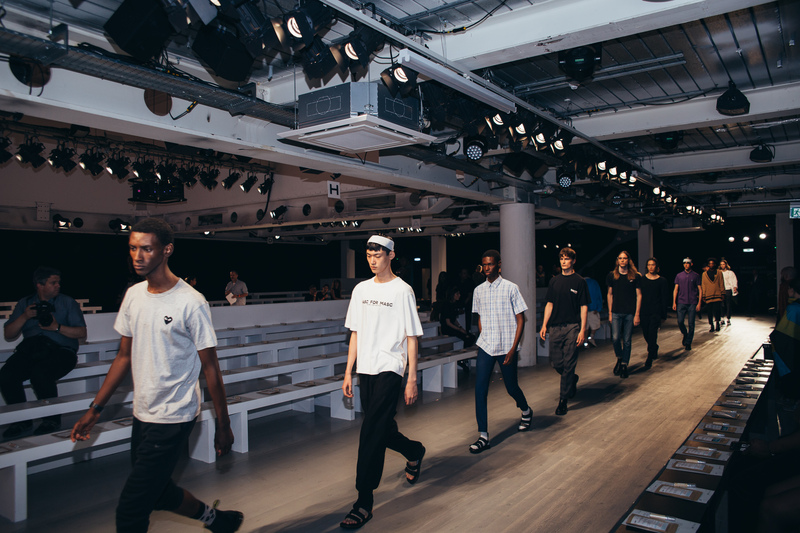 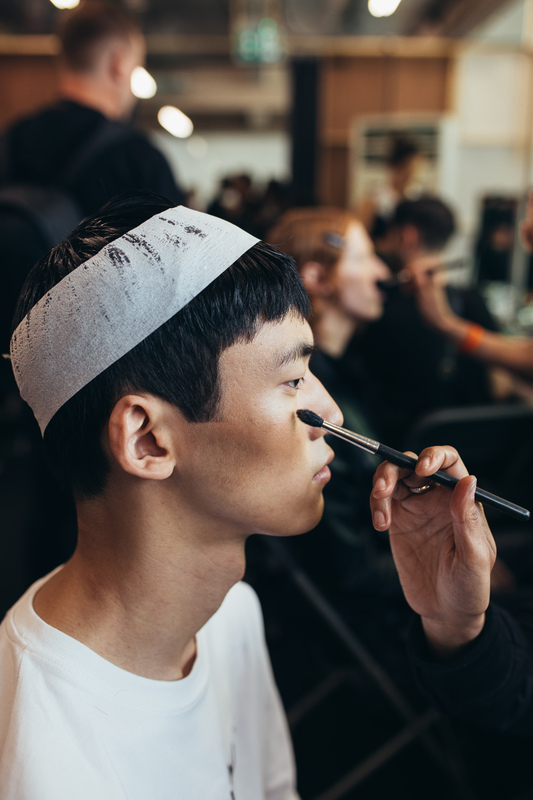 Accessories also stood out, with military-level rucksacks, box bags emblazoned with the label’s logo (available immediately after the show) hanging from the models’ necks and caps that morphed into protective hoods around the mouth. 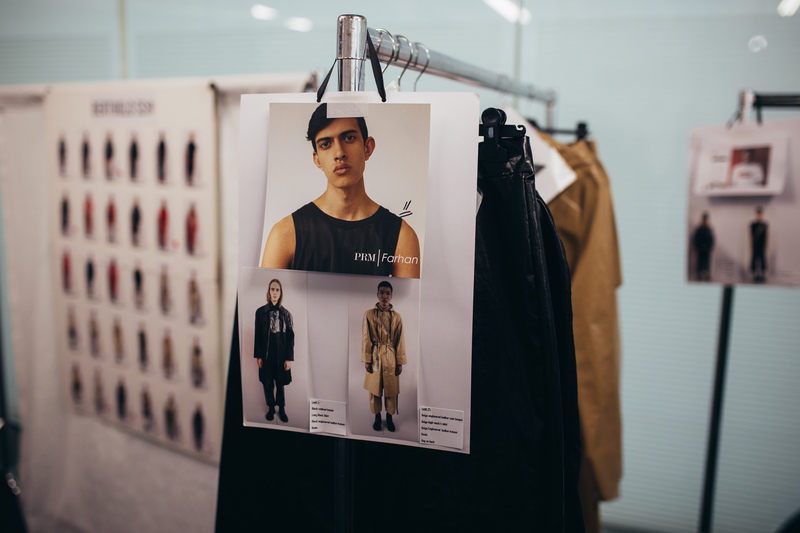 There were even pouches and bags on sleeves and legs of trousers, emphasising the push for function. 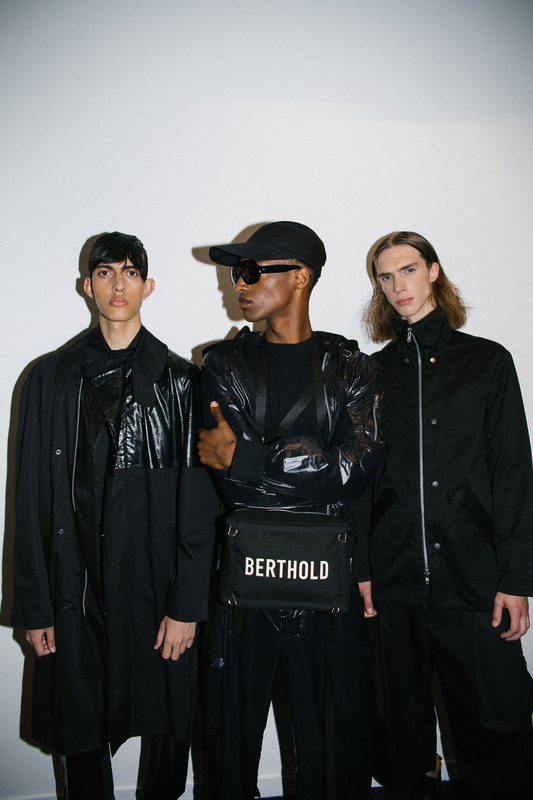 The last look saw a bag strapped around the model’s waist, cinching in the silhouette of his Matrix-esque coat whilst also providing easy access to the bag, demonstrating Berthold’s desire for multi-function in his work. 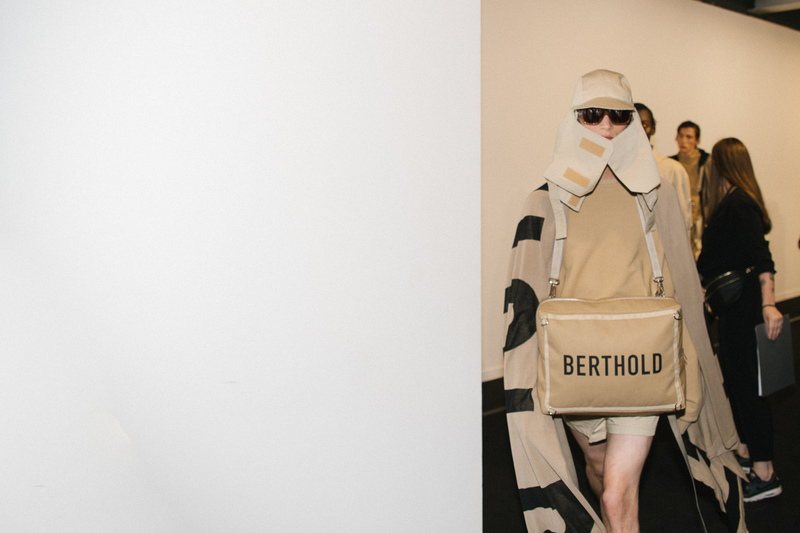 This desert raver is prepared for any challenges thrown their way.